← Queen – Good Company. 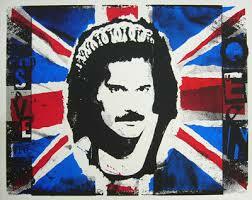 Queen – God Save The Queen. Publicat pe 26 iunie 2015	de Cristi M.
At the 2011 MTV Europe Music Awards on 6 November, Queen received the Global Icon Award, which Katy Perry presented to Brian May. Queen closed the awards ceremony, with Adam Lambert on vocals, performing „The Show Must Go On”, „We Will Rock You” and „We Are the Champions”. The collaboration garnered a positive response from both fans and critics, resulting in speculation about future projects together.